Today is pretty historic. In a way. Kinda. I mean, I guess. I had a bit of deja vu: I stayed up until Midnight to tune into BBC Radio 1’s Breakfast Show with Nick Grimshaw to tune in to hear Harry Styles’ solo debut. As a recovering 1D superstan, the dormant moonlit jitters in anticipation for a new damn song has not been at this level since 1D premiered a song and announced an album circa 2013. At that time, I was unemployed and suffering from insomnia, so the level of euphoria was rather different this round. Waking up this morning is terrible. Awful. God, help me. Please excuse any (possible but most likely very much scattered throughout this newsletter) gross spelling and grammatical errors. With that: it’s another week of no audio recordings for cmd+f. I sincerely apologize for this, but look at the bright side: this is in your inbox on time, and I’ve committed to giving you five sick tracks to enjoy this week! Got any questions? Tips? Please reach out to me via Twitter at @hellogoodbritt (or any other form you may know how to contact me) with your thoughts about any of the tracks I’ve selected this week. I love chatting about music. Let me know what you’re listening to that everyone else should be listening to, too. As always, you know the drill: if you like what you hear, spread the cheer. Tell your friends about the songs you liked in this letter, but most importantly, let the artists know. There’s a good chance they’ll see your comments, and from recent encounters, I know it’ll really make their day. If you’re interested in hearing what else I’ve been rinsing this month (aside from the tracks listed above), peep my personal April 2017 playlist. You can dive into the cmd+f archive to hear what I’ve been listening to in previous months this year. 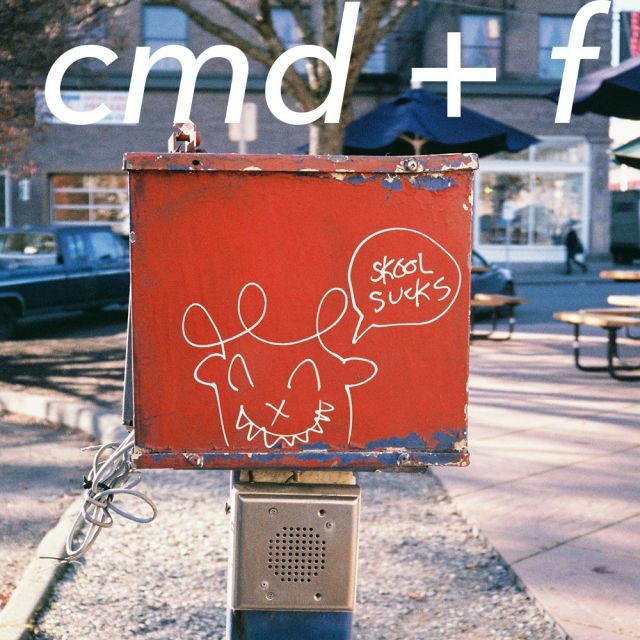 A(lmost a)ll of the tracks I’ve shared this week and past cmd+f newsletters are archived into a single playlist on Spotify for you to follow here. You’re welcome. Every Friday I find at least 5 songs by new artists or tunes that may have flown under your radar. Head over to the cmd+f subscription page to have the letter delivered directly to your inbox.